Even in his introduction, he wastes no time in setting out immediately his key thesis, that there are three interlinked causal factors which can lead to sexually abusive behaviour: an unhealthy psychological state, unhealthy ideas about power and sexuality, and an unhealthy environment or community. In its institutional structures, argues Robinson, too easily and too often reinforces or even creates conditions that reinforce these unhealthy conditions. It is easy enough to see the broad argument as it applies to sexual abuse, about which many others have written, and which I do not intend to elaborate. But it is the central section of the book where he spells out the nature and expansion of church institutional power, that fascinated me. In a very brief summary of the history of the papacy, he shows how an institution which began as just one Bishop of a single diocese, albeit a most important one, moved from a position of ‘first among equals’ to one of dominance. Even then, for most of two millenia, the role of the Pope was one of guidance and co-ordination, not one of control. Not until Pius X and the First Vatican Council, with its promulgation of the doctrine of infallibility, did ‘the doctrine of universal jurisdiction of of the Pope over every aspect of the Church’ become established. It is against this longer term view of Church history that we need to evaluate Vatican II, which is now attracting so much welcome attention. Quite contrary to the view of the Lefevbrists and other conservatives in the church, Vatican II was significant not for overturning tradition, but for seeking to re-establish it. (This same point was made last week on Bilgrimage, where William D Lindsay wrote his own helpful piece on the meaning of Church and tradition in the context of the two Vatican Councils. It is unfortunate that most of us are so conscious of Vatican II and its upheavals, that we lose sight of Vatican I and the many councils before it.) Helpfully for Pius X and his successors, his attempts to establish universal control were greatly enhanced by the advances in communication technology, enabing him to be quickly informed of events in far flung parts of the world – and to communicate his response, desires and commands as quickly. 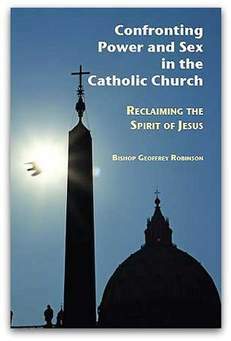 What Robinson recommends is not the abolition or destruction of Papal power – he notes that the Protestant faiths which have eliminated central authority ahve seen endless continuing fission within themselves – but a restoration of balance. A partnership between Pope, the college of Bishops, and laity not only reflects the (unfilled) promise of Vatican II, it also restores the earliest traditions of the Church, reflects established constitutional principles in secular democracies of a balance of power. The challenge in achieving this restoration in balance is that teh excessive power structures that have been built up are not simply the work of mischievous individual Popes and scheming officials. Rather, tehy have become institutionalised, built right into the ‘systme’ of Church governance, so that it is unremarkable that the autocratic structures began to re-establish themselves after the immediate enthusiasm following Vatican II. I have yet to read Bishop’s Robinson’s views on how this re-establishment of balance is to achieved, but have one thought of my own. I find it striking that Luther’s first great challenge to the abuse of power in the Church, and the unfolding Reformation that followed, were greatly aided and fuelled by the expansion of literacy and publishing, with the demand of the laity for access to the scriptures. In the preceding centuries, with limited access to literacy, manuscripts and a common literary language, it was inevitable that the Church would retain a virtual monopoly on knowledge in all its forms. With the widening of access to the tools of learning, it was natural that a widening circle of laity would demand access to at least some of that. The church’s intransigence led to rebellion, and the the Protestant churches immediately were characterised by an emphasis on reading of scripture by all. The Catholic Church eventually backed down on this, but still restricted higher studies in theology to priests. That too has now gone, and today there are more lay people studying formal theology than seminarians. The information age, and its rapid expansion of the tools of learning, has now taken access to theology outside the formal classroom. Knowledge is power. The expanding blogosphere empowers us all to extend our own knowledge. The more obvious it becomes that the officials of the curia do not have a monopoly on truth, the more we use the media available to us to voice our response to abuses (as we have witnessed over the last two months), the more obvious it will becomes to those at the top of the power structures that their ‘power’ is not after all as absolute as they might imagine. Then, by the grace of the Holy Spirit, they may at last begin listening as well as pronouncing, and they may again acquire Authority to accompany their power.